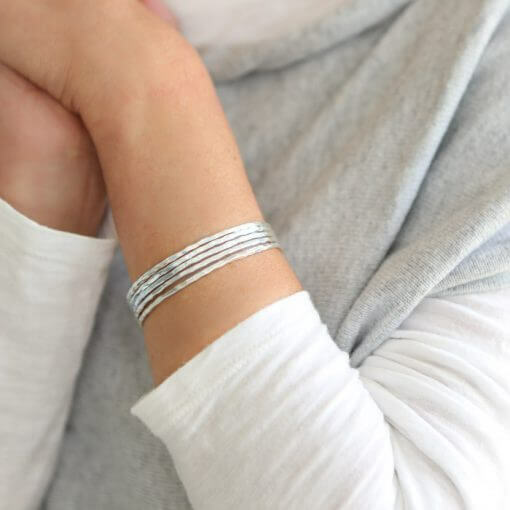 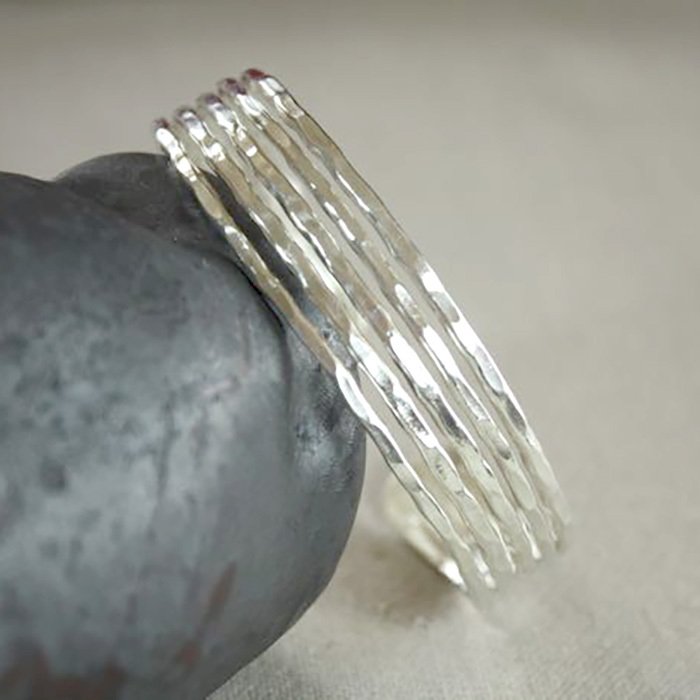 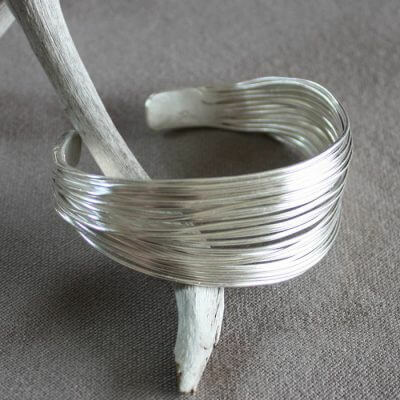 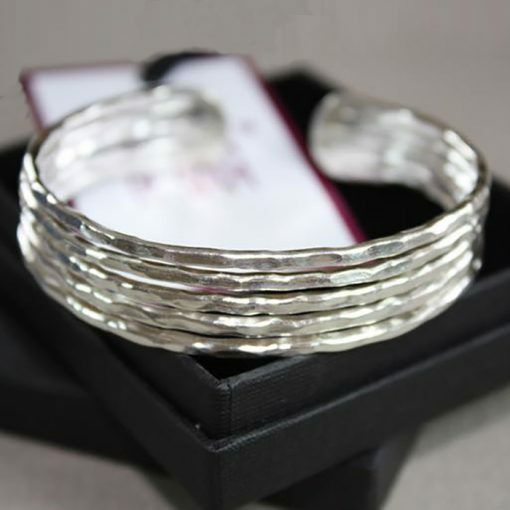 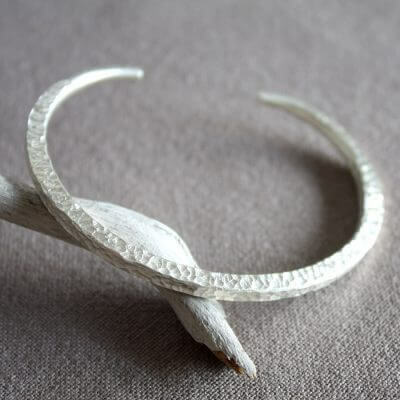 This elegant handmade silver bangle combines 5 threads of silver into one beautiful piece. 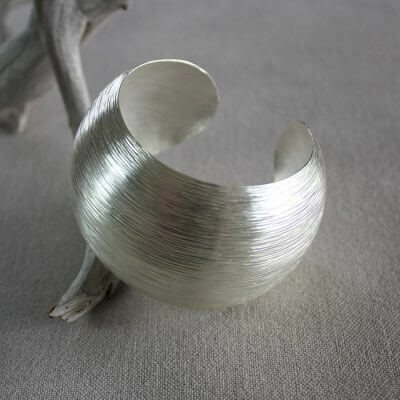 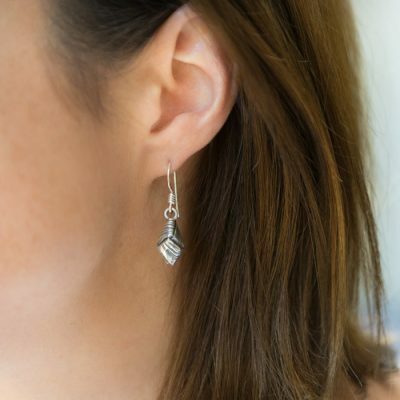 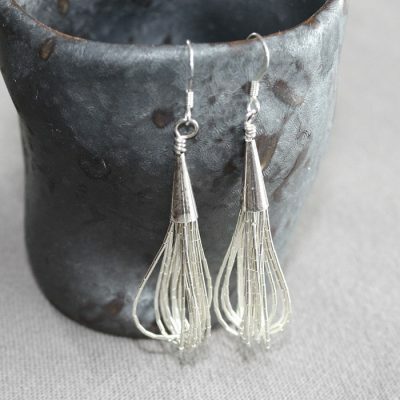 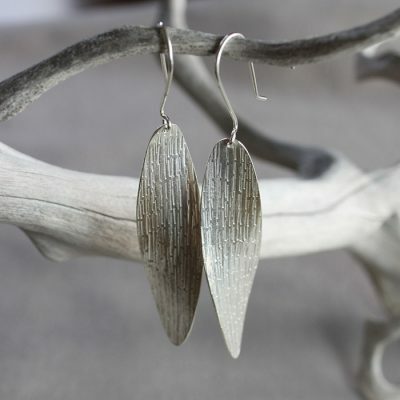 Joined at either end, the silver gradually separates to create it’s individual strands, a definite stand out piece. 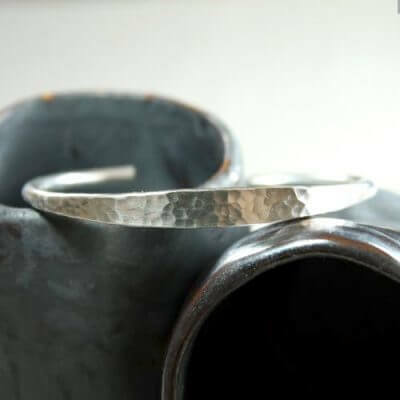 Made from 925 sterling silver, this handmade silver bangle is hallmarked by the London Assay office.